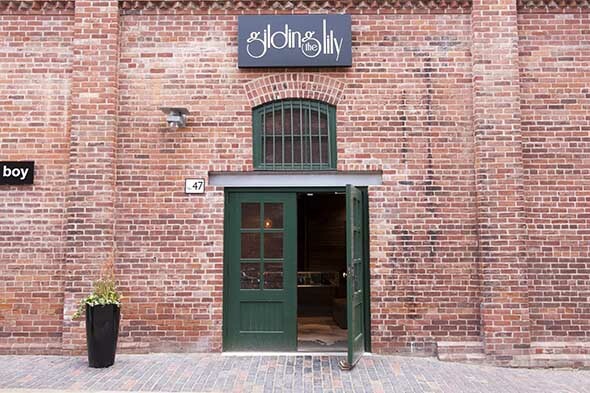 Gilding The Lily opened a week ago in a hidden-away space in the Distillery District. 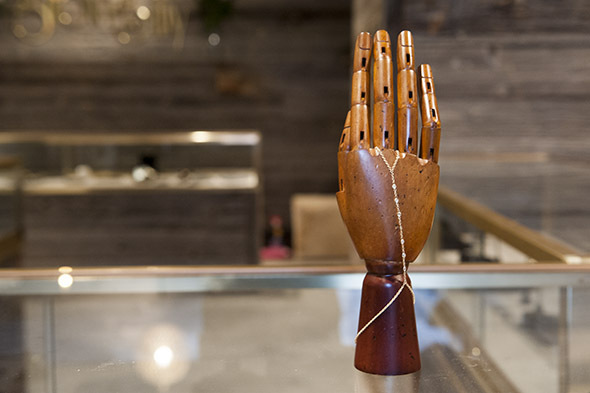 The fine-jewelry and accessory boutique is the pet project of Annie Jagger, an LA-based celebrity stylist known for her edgy, feminine, downtown-chic aesthetic. Jagger's work with clients like Nicole Richie, Kristen Stewart, and the sisters Simpson keeps her in high demand - and, for much of the year, in Los Angeles. 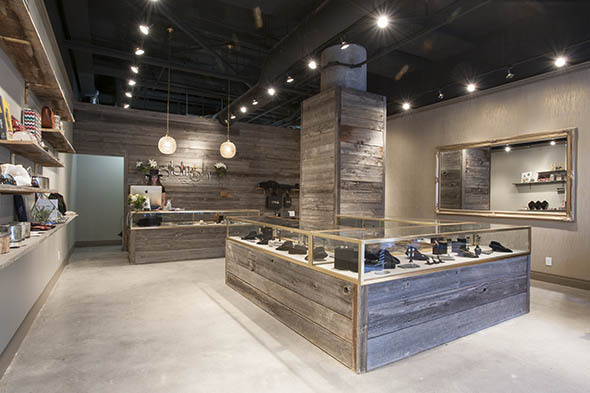 So, why choose Toronto for her first-ever foray into retail? 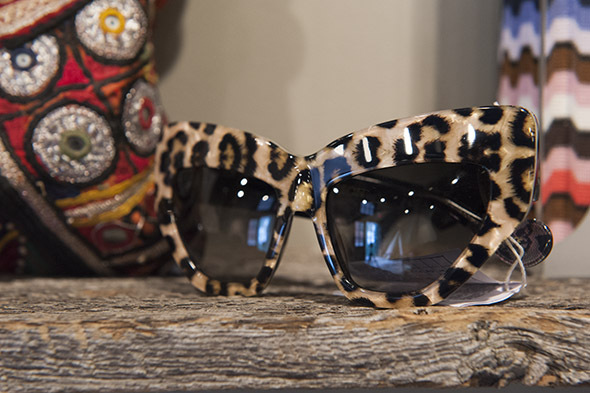 Jagger, who was in town for the boutique's launch, is married to a former Torontonian and visits often - but, moreover, she says, "I saw an opportunity here, where there was a hole in the market and it wasn't oversaturated with stores like this." 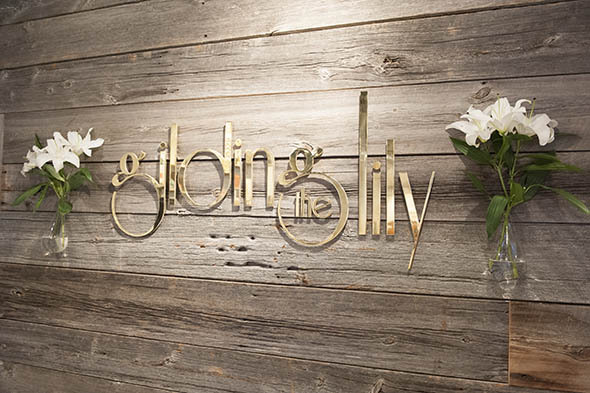 At Gilding The Lily, fine jewelry creations (as in, real-deal precious metals and stones) by small, independent designers are offset by a smattering of equally high-end accessories and a few candles and art books. "I have so many designers and friends and colleagues in Los Angeles, I wanted to give them a platform to sell their pieces and put together a beautiful story of whimsical, classic and trendy pieces, and showcase them in a place all together where you can actually see the story." 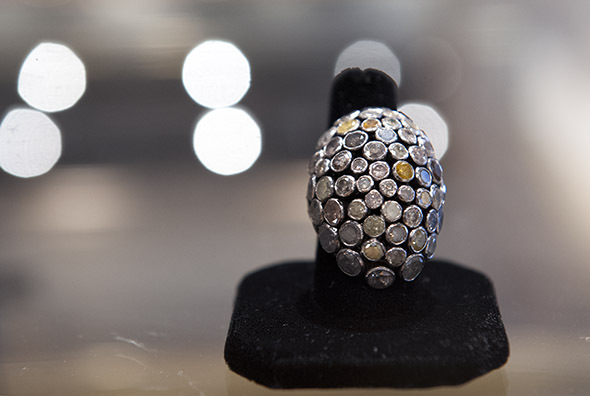 The concept isn't an uncommon one in California - Jagger asked some store-owner friends for pointers before setting up shop - but here in TO, though there's plenty of cutting-edge fashion jewelry on the market, it's rarely found rendered in gold and diamonds. 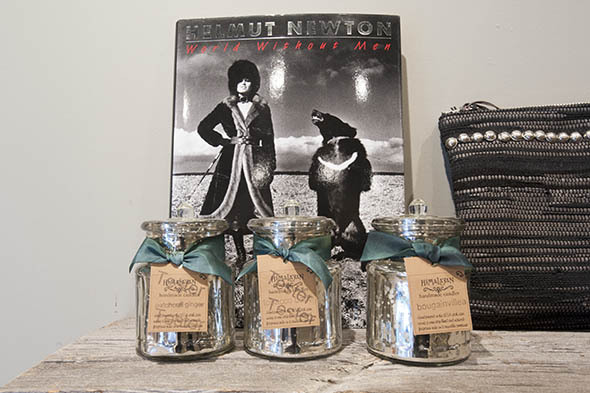 The designers themselves, too, are new to the area, with most not stocked elsewhere in Toronto. Jagger rattles off a list of favourite brands: Rona Pfeiffer ("she has a really edgy, cool, new aesthetic"), Jacquie Aiche ("famous for her body chains she puts on Rihanna"), and Elahn ("more of your red carpet, formal-looking jewelry - I use them a lot on the red carpet with clients"). The latter contributed the store's biggest splurge: A $11,000 pair of diamond-slice earrings. Naturally, bargain-hunters may not be raring to visit, but Jagger stresses that she wanted the store to hit a variety of price points: "You need your hero pieces, but I didn't want to bring in too many crazy pieces until I knew what the market here wanted," she said. Stud earrings are priced in the low hundreds, for example, and sculptural earrings - like Smith and Mara's " ear skimmers " - are in the mid-hundreds. It's those subtly boundary-pushing pieces - the ones that live where "investment piece" and "statement piece" meet - that set Gilding The Lily apart. Jagger's picks - including above-the-knuckle rings and bold cuffs - could mix seamlessly, together or alone, into weekend outfits and showstopping evening looks alike. "As a stylist, I'm always trying to stay on the cutting edge of what's happening with everything in fashion, whether it's shoes or handbags or jewelry, jewelry being one of my big loves," Jagger says. 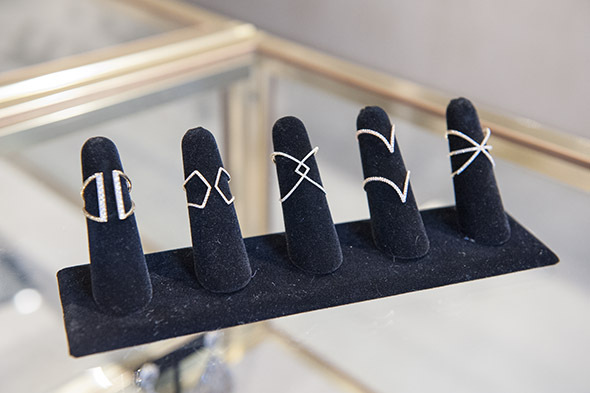 "I think there's a lot of cool things going on with jewelry right now, and I think it's fun to see the 'ear parties', the end-of-finger rings. The things people come up with - I'm always amazed."